In effort to raise support through the community RANLife Home Loans is sponsoring a booth at the “Strut Your Mutt” 5k in Salt Lake City and asking past clients to join the effort. RANLife Home Loans is preparing for another community event and this time around they are hoping for the support of past home purchase clients and as well as other members in the community. 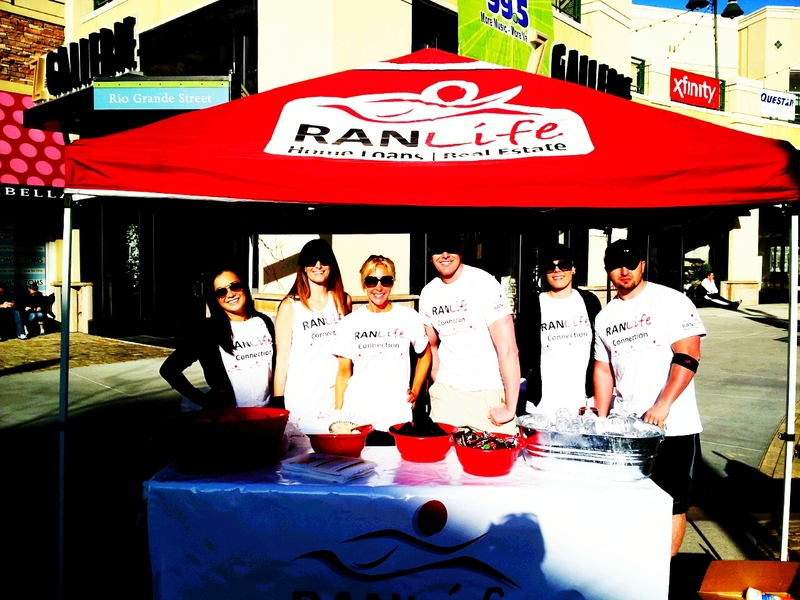 It’s been a busy year for RANLife after already sponsoring booths at the MS Walk, Susan G Koman Race for the Cure, and the American Diabetes Association bike tour but that doesn’t stop them from getting involved. Their next up and coming event is the Strut Your Mutt fundraiser that will be taking place on September 21st, 2013 in Salt Lake City, UT. RANLife takes pride in their efforts and enjoys finding ways to create more community involvement. “What better way to unite as a company and also a community than by building support through fun and family friendly events,” stated RANLife’s marketing representative, Jaymie Tarshis. This time around with the support of past purchase clients, RANLife is hoping for their biggest turn out yet. Their goal for the up and coming Strut Your Mutt event is to raise $1,500 to help homeless pets in need. “Through the support of our community and the awesome team members here at RANLife, I know we can meet and even exceed this goal.” Often times RANLife will host a bake sale or luncheon to raise the last bit of money needed to reach their goal. “It’s a small amount of effort, with a lot of reward.” RANLife recommends that everyone get involved in at least one community event a year. They began participation in the community more than five years ago after raising money for the local food bank and after seeing much success have decided to take on more events each coming year. On their agenda for the remaining year are the Utah Food Drive and another 5k. In the mean time, RANLife and their company members are excited and ready to gear up for Strut Your Mutt in September. Anyone who would like to register for the Strut Your Mutt Salt Lake City event and join the RANLife Dog Pack is encouraged to sign up at http://www.strutyourmutt.org/team/ranlife. Participants who sign up with RANLife Home Loans will also receive a free Dog T-shirt at the event. At RANLife Home Loans our experienced mortgage professionals view a refinance, or purchase of a home loan, as more than just a onetime transaction. We believe it is a start of a long term relationship that can save the homeowner thousands of dollars over the life of their loan. To find out more information please visit them athttp://www.ranlife.com. RANLife Home Loans supports various local causes and nonprofit organizations, including the Utah Food Bank, MS Society, American Cancer Society, American Diabetes Association, and many other local organizations. The original article can be found on PR Web by clicking here.